Water, Isododecane, Cyclopentasiloxane, Glycerin, Cyclohexasiloxane, PEG 10 Dimethicone, Methyl Methacrylate Crosspolymer, Butylene Glycol, Dimethicone, Isoeicosane, Disteardimonium Hectorite, Boron Nitride, Phenoxythanol, Cetyl PEG/PPG 10/1 Dimethicone, Sodium Chloride, Polyglyceryl 4 Isostearate, Hexyl Laurate, Acrylates/Ammonium Methacrylate Copolymer, Isostearyl Neopentanoate, Caprylyl Glycol, Triethyl Citrate, Methylparaben, C9-15 Fluoroalcohol Phosphates/C9-15 Fluoroalcohol Phosphate, Tocopherol, Panthenol, May Contain (+/-): Titanium Dioxide (CI 77891), CI 77491, CI 77492, CI 77499 (Iron Oxides). love this bb cream! I also love the packaging. Price was also nice, the coverage was great! it covered all my redness it does what it says.The only bad thing was it was a bit dark at first, but I shake it and it was good. I love this BB cream. Good coverage, yet it has a light feeling on the skin. It has a golden tone witch matches my skin very well. Light consistency Maximum coverage Inexpensive None I was never a person who used cream based foundation, or foundation of any kind, for that matter. I always used compact or loose powders in conjunction with a cream spot cover-up for acne and other red spots. Even though my skin is moderately oily, these powders always left my skin looking ashy and flakey, causing it to look very dull. Mixing it with cream based spot coverup, just added to the overall look of a total mess. I tried mineral makeup as well, same problem, even more grey looking. In my quest to find a light overall coverage product, I started looking into BB creams as they have emerged in the last few years as a increased coverage alternative to a tinted moisturizer, but not drying like powders. Most make up lines now offer a BB cream, so you can find them at the department store or the drug store. 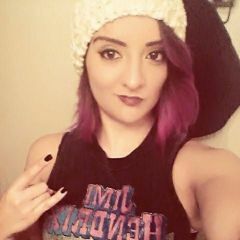 I have tried about 10, ranging from $60 products from online and high-end department stores to $10 products from makeup lines I usually avoid. 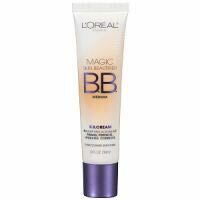 I have fallen in love with L'oreal's BB cream, I use Medium. I use it along side a more expensive Laura Mercier "Secret Camouflage" spot coverup. This can be purchased from Sephora or various other online stores. I use color SC-3, but everyone will have to try out to find the best dual shade combo that works best for them. The great thing about purchasing from Sephora is that you can try all their products in store before purchasing and if you hate it, you bring it back used and they refund you. I am so happy to have found this combination, talk about decades of searching for the best makeup...hope that others find this information useful.